Bombay Dyeing - Polyester Division is engaged in manufacture of 100% virgin Polyester Staple Fibre & Textile grade PET Chips with NGSSS technology from Invista Polyester Technologies and Chemtex International Inc., USA. 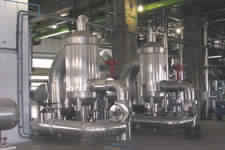 After over two decades of manufacturing polyester intermediaries, our own polyester plant was set up in 2007 with technology and equipment from Invista Polyester Technologies and Chemtex International Inc., USA. 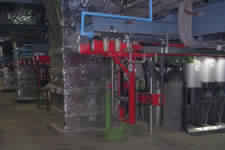 The PSF plant operates on NGSS System (Next Generation Staple Spinning System), which at that time was the first of its kind polymer to PSF technology used anywhere in the world. Through a continuous process of reinvestment, Bombay Dyeing draws on the latest technologies from world’s leading engineering companies. 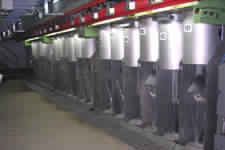 At our state of the art manufacturing facilities at Patalganga, Raigad in Maharashtra, India, we are producing a wide range of Polyester Staple Fibre (PSF) from 0.6 to 7 deniers including a variety of differentiated and specialty products such as Micro, Optical White, Dope Dyed Black, Trilobal, Hollow, Spun Lace and Super High Tenacity fibers. 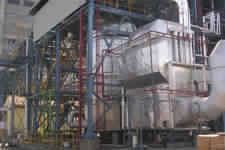 PSF produced is suitable for variety of end uses such as yarns for apparel and home furnishing, wipes, diapers, hygiene products, fibrefill, automobiles, geotextiles and other industrial products such as filters & insulation material. 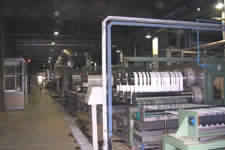 We also produce textile grade PET chips. Customer satisfaction is the core of our business philosophy and is in line with our fundamental belief in delivering products of exceptional quality to best meet our customers’needs. 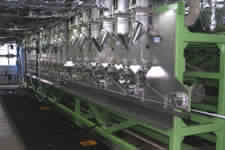 With a capacity of 182,000 MT per annum, the plant is built to exemplary environment and energy conservation standards. 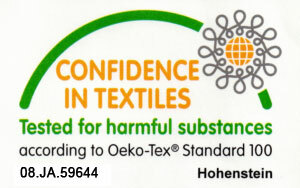 It is ISO 9001:2000, 14001:2004, OHSAS 18001:2007 and Oeko-Tex Standard 100 certified. In addition to having a significant market share in Indian domestic market, our products are exported across the globe to Europe, North & South America, Middle East, Africa and Asia. © 2018 Bombay Dyeing. All rights reserved.